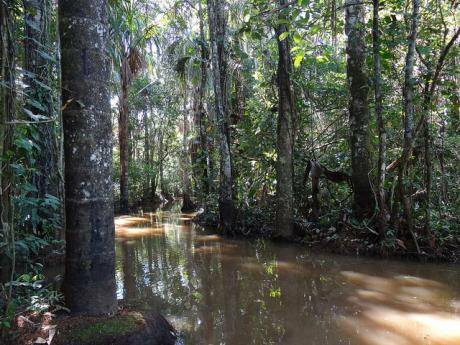 Planting trees in the Amazon does not solve anything. Flickr/Kevin Matteson. Some rights reserved.Recently, yet another climate report was launched, and it was of especial interest to us up here in Norway, as the Norwegian ex-prime minister Jens Stoltenberg was among its 23 authors. The message from The New Climate Economy is upbeat: economic growth and ecological sustainability are not, it argues, opposites. As a matter of fact, the authors claim, the transition to a climate-neutral economy may entail considerable global economic growth. By way of conclusion, the report lists ten general recommendations for the governments of the world, which show how their economies may be tweaked in a climate-friendly direction, if the politicians were only disposed to do as the authors advise. There is nothing in this report which has not been known for many years. For this reason, it is necessary to ask why so precious little has been done so far, and what makes the authors think that this particular publication will have practical consequences? The Kyoto agreement aimed to reduce greenhouse gas emissions from the materially rich countries, yet they increased by 58% between 1990 and 2012. At the same time, critical books and alarming reports on the climate crisis were published with increasing frequency. In other words, neither a lack of knowledge nor an unwillingness to take part in large meetings about climate could be said to be the problem. Limits to Growth, commissioned by the Club of Rome foundation, warned against a coming global crisis resulting from population growth, resource depletion and environmental degradation. Climate change was only dealt with in passing, but it is worth noting that the authors did point out – more than forty years ago – that emissions of carbon dioxide might lead to a warming of the atmosphere. The report concluded that growth had to slow down, that the world’s population had to be stabilised (preferably reduced); and that the production of necessities should be undertaken in an ecologically sustainable way. The question deserves repeating: On the basis of the very considerable knowledge possessed by the global elites about the unintended side-effects of growth, environmental deterioration and now climate change, it may be difficult to understand why so little has happened. Global energy use has been more than doubled since 1972, and the proportion of renewable energy remains almost negligible. In some countries, including Norway, it is a common view that natural gas is part of the solution. This is, perhaps, not so strange: Norwegian oil production peaked already in 2001, while gas production is still growing. But although natural gas is the cleanest of the fossil fuels, it does not solve the problems we are facing. Although natural gas, provided there are no leaks (a tall order), can be at least 25% cleaner than coal, that is not to say it is climate-neutral. First, the alliances between politicians and powerful resource companies are strong and sometimes invisible. The new chair of the Norwegian Labour Party, Jonas Gahr Støre, has often spoken of the climate challenge since he took the reins last spring, but his party has shown no sign of abandoning its oil-friendly policies, in line with the interests of the oil companies. In Australia, which – like Norway – profits greatly from a boom in fossil fuel exports, the prime minister has simply declared that, ‘Australia is open for business’, and in that country, normal democratic considerations are routinely brushed aside the moment big money is involved. Given this background, it should come as no surprise that the aforementioned Jens Stoltenberg, while he was still CEO of Norway, Inc, did his best to ensure that the country should export as much fossil energy as possible; whereas, just a couple of months after his electoral defeat last year, he came out in Aftenposten, ashen with anxiety, explaining that we (that is humanity) had to find a way of dealing with the climate crisis immediately. For the record, this is not meant to ridicule Stoltenberg, whose reputation as an honest, committed and genuinely democratic politician is probably deserved. What is interesting is that he comes across as a trueborn child of his time, a time which, for two hundred glorious years, gave humanity a sustained and unprecedented boon, quantitatively as well as qualitatively, thanks to fossil energy. Alas, this era is now fast moving towards its end, and Stoltenberg’s dramatic ideological shift may indicate the presence of a more widespread anxiety, indeed that we may be approaching a momentous turning point, after which growth and fossil gluttony no longer are seen as tantamount to development and progress. In all likelihood, Stoltenberg has come to realise that we are about to undermine the conditions of our own existence, that we’ve painted ourselves into a corner; that the carbon offsets of which his government were famous will not do: planting trees in the Amazon does not solve anything insofar as they are financed by petroleum exports. An alternative to green growth might be to rethink progress and development. Rather than an economy measured by the profitability of enterprises or national GDP, one might imagine an economy driven by the overarching aim to satisfy human needs. Rather than policies which stimulate private consumption, one might establish a taxation system where the price of a commodity or service was linked to its ecological footprint. But it is not as if there is a single magic button to press. It will be necessary to change mentalities and activities simultaneously. To achieve this, we shall need politicians who are not firmly tied to existing economic practices.